Join us November 10, 12, 13, and 14, 2014 to learn how Giovanni contributes to research across many different Earth science disciplines. A vital tool for researchers using NASA Earth science data is the Web-based Geospatial Interactive Online Visualization and Analysis Infrastructure (Giovanni) system. Giovanni helps facilitate research by allowing scientists to quickly compare large datasets representing a range of environmental variables and see potential interrelationships among datasets. The 2nd Gregory G. Leptoukh Online Giovanni Workshop, November 10, 12, 13, and 14 (November 11 is Veterans Day, which is a Federal holiday), showcases this innovative system’s use across Earth science disciplines and its application as a tool in environmental analysis and research. The workshop is being organized by Dr. Jim Acker, Senior Support Scientist at NASA’s Goddard Earth Sciences Data and Information Services Center (GES DISC) and is named in honor of Dr. Gregory Leptoukh. Dr. Gregory Leptoukh. Image courtesy of NASA GES DISC. From 2003 until his unexpected death in 2012, Dr. Leptoukh led numerous NASA projects related to the visualization of atmospheric data; model data intercomparison; and the design and development of the online data analysis tools that are the foundation of Giovanni. The goal of the four-day workshop is to show how Giovanni contributes to research across many different Earth science disciplines. The workshop’s first three days feature 12 live online presentations discussing recent research utilizing Giovanni, as well as a session devoted to the current status of the most recent version of Giovanni, Giovanni-4. The workshop’s final day (November 14) is devoted to a 24-hour Online Global Poster Session, where poster PDFs will be displayed online and workshop participants can send questions to the presenters via e-mail or Twitter. All sessions will be recorded and available for viewing after the workshop concludes. Giovanni was developed by GES DISC to allow researchers to access NASA Earth science data, which includes numerous satellite remotely-sensed datasets, and compare these datasets without having to download vast quantities of data. The system was released in 2002, and has been a cited in almost 1,000 professional peer-reviewed articles. For Acker, this is one verification of the value of Dr. Leptoukh’s work. “Gregory [Leptoukh] always said that he wanted to get people interested in Giovanni. I see this happening; it’s a tool that people now expect to be there,” Acker says. 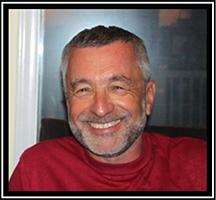 The 2nd Gregory G. Leptoukh Online Giovanni Workshop takes place November 10, 12, 13, and 14, 2014. While there is no charge to attend, you must register in advance. To register and for an agenda, go to http://earthdata.adobeconnect.com/e14gjejqrc8/event/event_info.html.